Number of Building: One; 7 story office building and one 5 level parking structure. Building Size: Office building, first floor, 26,980; second floor, 26,013; third through 6th floors, 26,980 each; 7th floor, 26,709; total 187,622; Parking structure, 219,420; total 407,042. Building Height: Office Building, floors 2 through 6, 12'-10"; 1st and 7th floors, 14'; total 90' Parking Structure, 10' each level, total height, 40'. Foundation: Caissons and spread footings. 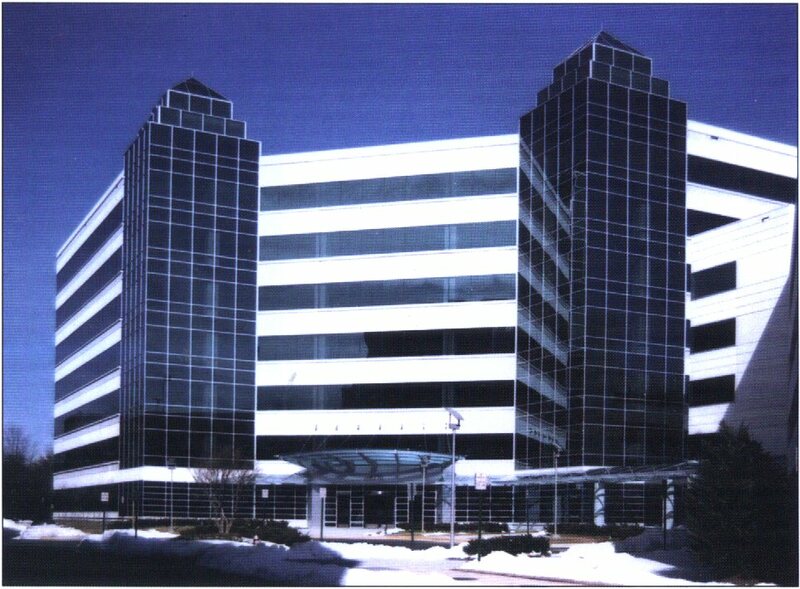 Exterior Walls: Architectural precast, glass storefront, curtain wall, ribbon window system. Floors: Post-Tensioned, long span cast-in-place concrete. Interior Walls: Metal support system, gypsum.